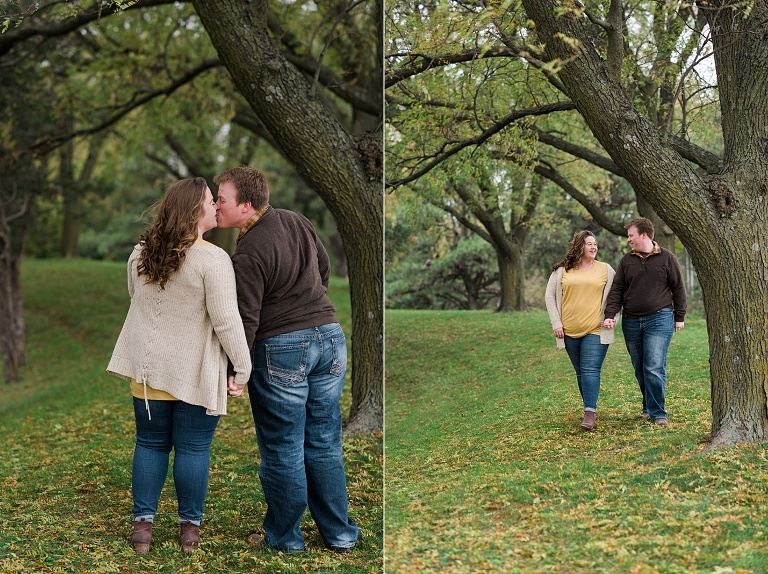 I am so SO excited to share this sweet engagement shoot with everyone. I’ve been chatting with Brescia for several months, and it was great to FINALLY meet her! Originally, they were planning a destination wedding in Italy, but plans change, as they often do, and we’ll be gathering for their nuptials next summer here in Iowa. 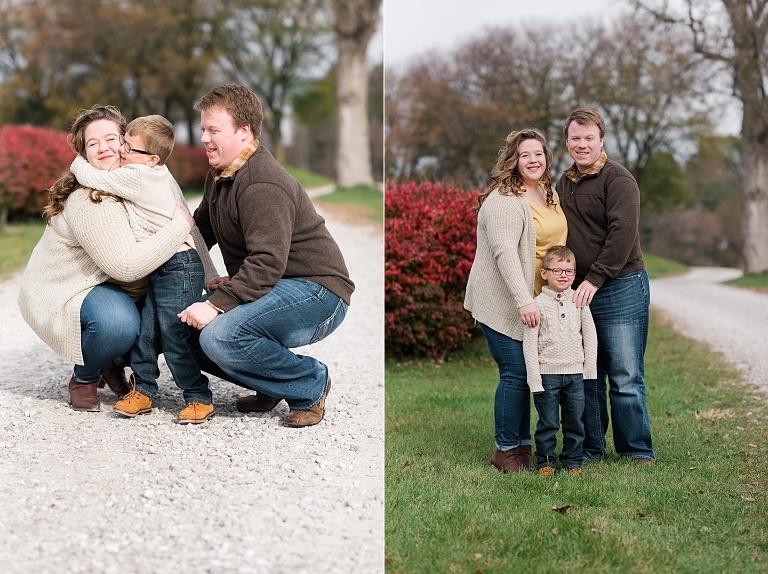 Even with those big changes, they are still just as excited to get married. 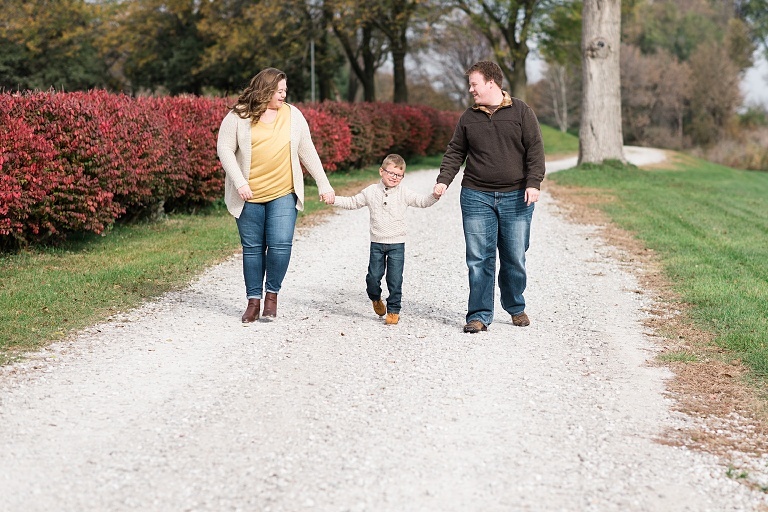 And what was even sweeter is that they brought Dillion’s son, Reece, to Grinnell for their engagement shoot so he could be a part of things. Read through for one of my FAVORITE engagement session moments! 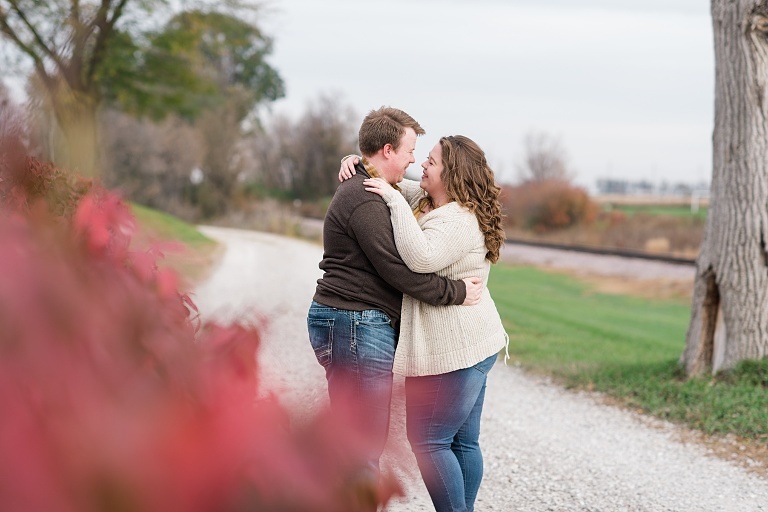 It was super SUPER cold during their engagement session. Probably 25 degrees? And sweet Reece didn’t complain once! Brescia and Dillion surprised him with a fun gift to officially invite him to be part of their wedding day, and his response was adorable! After being outside for maybe 15 minutes, we were all SO cold. So we headed over to Hotel GrinnellHotel Grinnell (my new favorite place!) and finished our photoshoot there. Their lounge area is perfect for portraits!